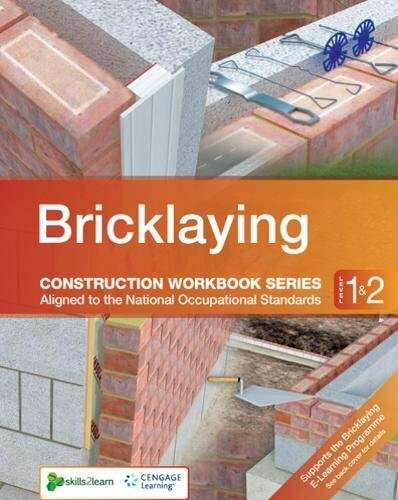 This highly interactive, write-in workbook is part of the Skills2Learn series of construction workbooks available in the following disciplines of construction: · Bricklaying · Carpentry & Joinery · Plastering · Painting & Decorating · Wall & Floor Tiling Published by Cengage Learning in association with Skills2Learn, the series of workbooks are aligned to the National Occupational Standards at Levels 1 and 2 are designed to consolidate learners’ theoretical knowledge prior to undertaking practical workshop exercises. This workbook series can be used alongside the Skills2Learn series of virtual reality eLearning programs making this a first-of-its-kind, fully integrated blended learning solution. Skills2Learn are an award-winning company that develop e-learning, virtual reality, serious-games and creative multimedia solutions specifically developed to increase learners’ knowledge retention and support tutors with the delivery of their qualifications.